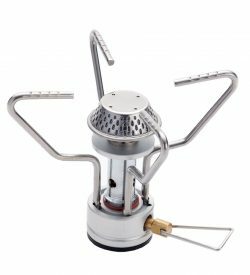 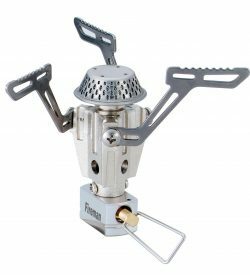 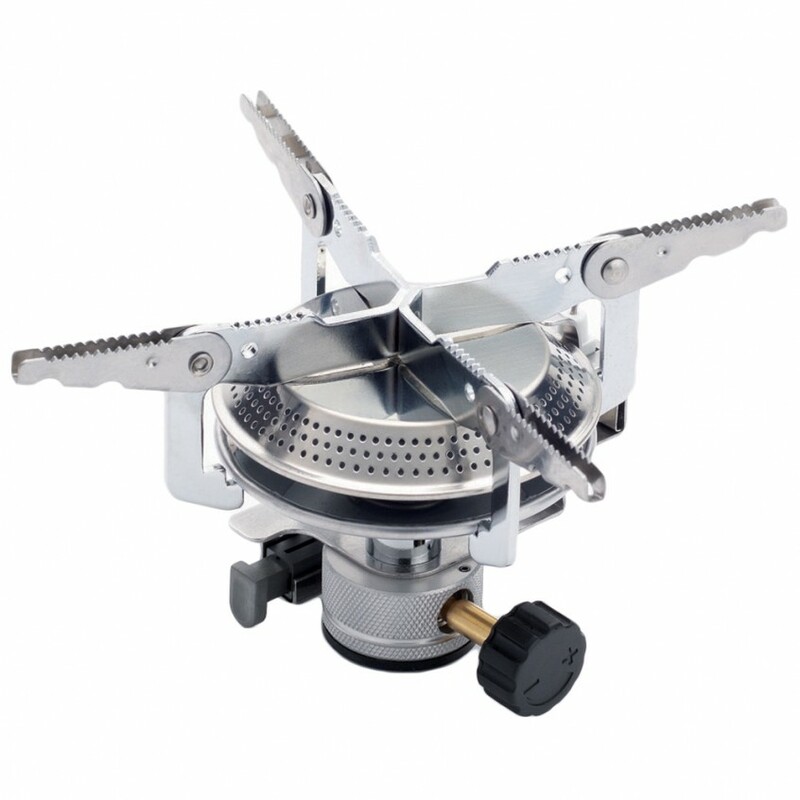 The Hiker gas stove is small but has strong fire power in comparison to the size of the burner head, which evenly distributes firepower. 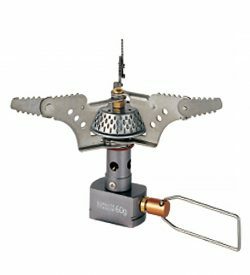 The ignition plate makes lighting easy and maximizes power. 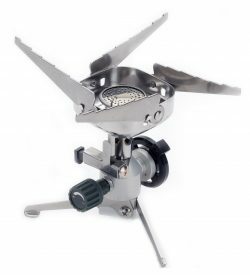 A convenient ignition button is built into the lightweight aluminum valve.